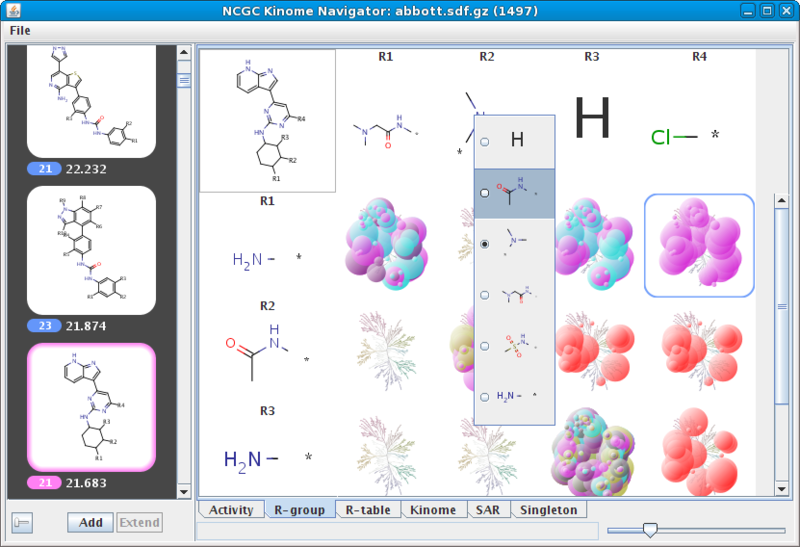 In order to impact medicinal chemistry design decisions, what is required is an understanding of specific chemotypes or functional groups that either create or destroy a specific connection, as defined by the therapeutic endpoint. 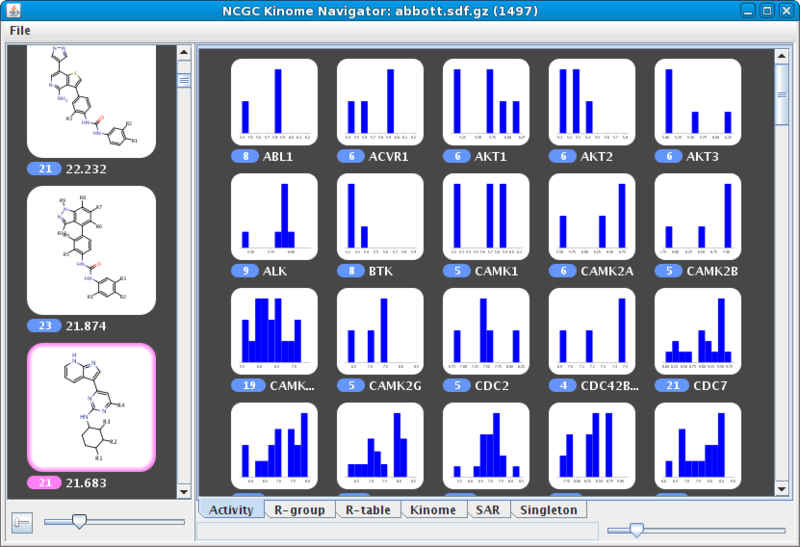 To that end, we've recently put together a tool, the kinome navigator, that provides chemotype-centric views of kinase data. 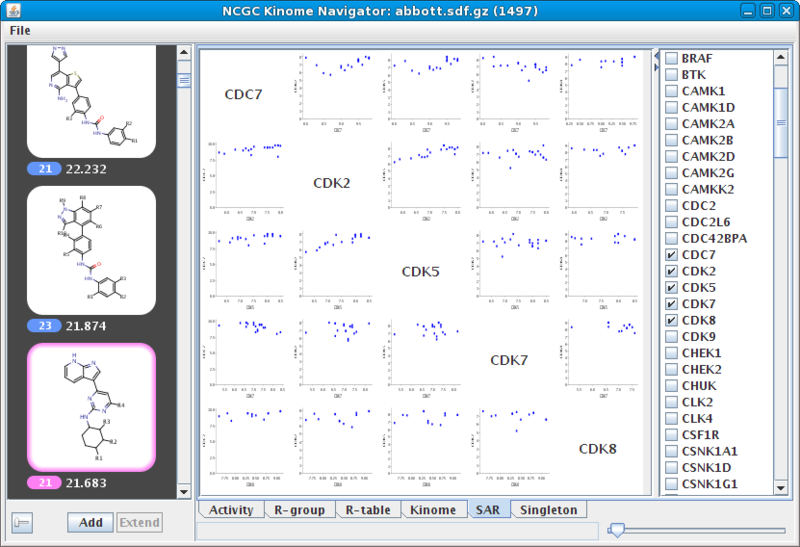 It's based on an improved version of our automated R-group analysis tool. 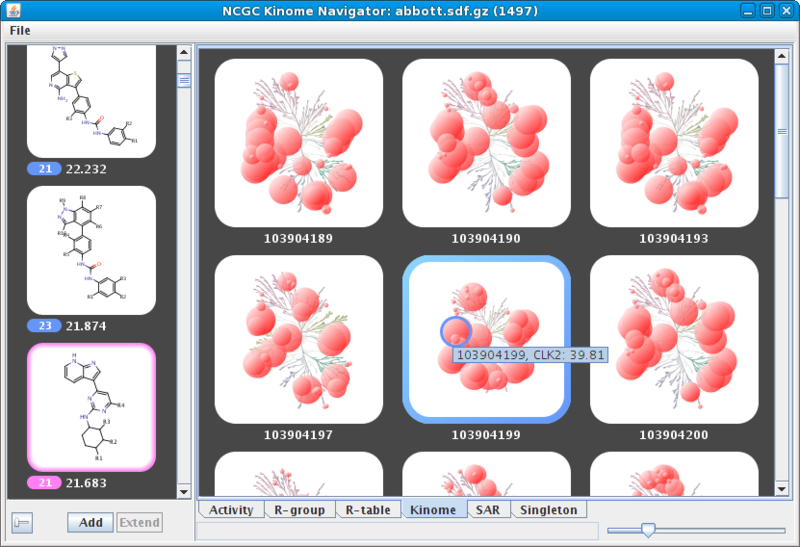 The input requirement is the same as that of the kinome viewer, namely, kinase activity values are expressed in nM. Here is the proper input of the above dataset (which is also bundled with the tool). 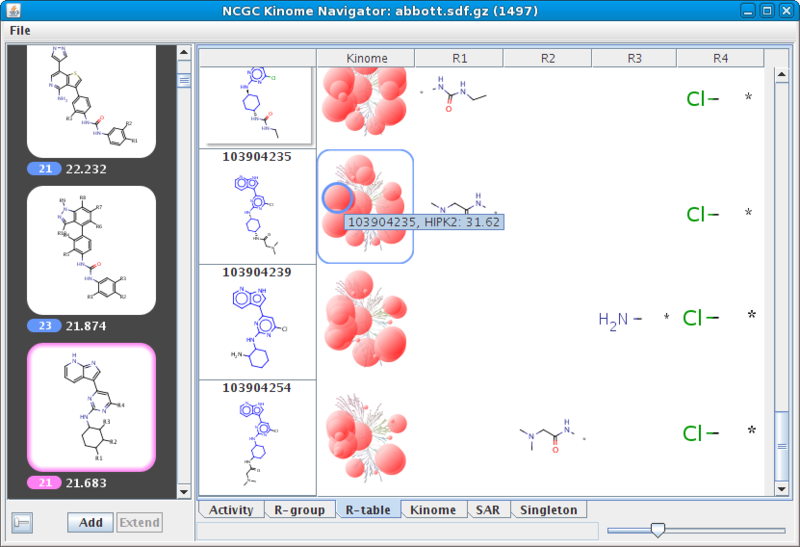 Below are some sample screenshots. Click on the button below to launch it. Please note that the tool is memory intensive, so it's best to run it on a machine with at least 1Gb of memory. As always, we welcome comments and/or suggestions.